BOSTON—Dispelling the widely held notion that musical work of such a high caliber is uncommon, an analysis by Boston University music historians published Thursday found that albums as good as Sgt. Pepper’s Lonely Hearts Club Band are actually released about once a month. 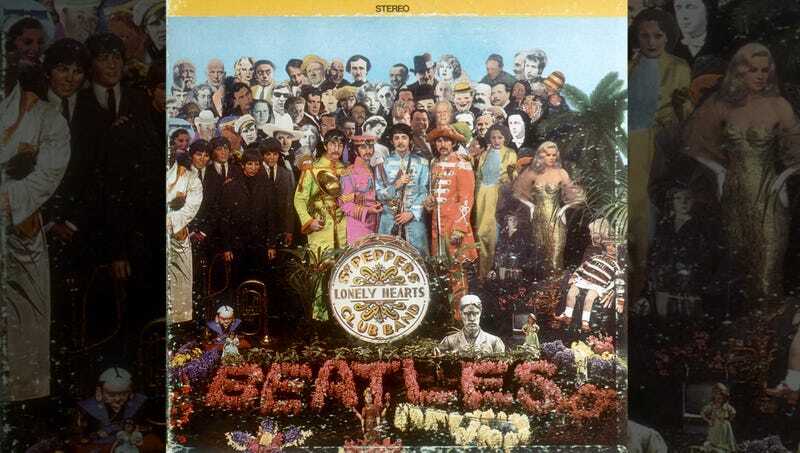 “Although the iconic Beatles record has reached a level of acclaim that seems untouchable, it appears that albums equally as groundbreaking reliably come out about 12 times every single year,” said lead author Regina Dirks, adding that since the most popular Beatles album was released in 1967, almost 600 albums of comparable quality and creativity have also been produced. “From folk to jazz, rock to hip hop, we have seen records with songs just as innovative as ‘Lucy in the Sky with Diamonds’ or ‘A Day in the Life’ roughly once every four weeks. Frankly, it’s disappointing that people have glorified Sgt. Pepper to the detriment of all of these other astonishing releases.” Dirks went on to say, however, that there still hasn’t been anything made that is nearly as pioneering or essential as 1996’s Turn the Radio Off by ska band Reel Big Fish.